The latest series from "the Router Workshop". It is intriguing to open a box and find another box inside and yet another box inside the second one. 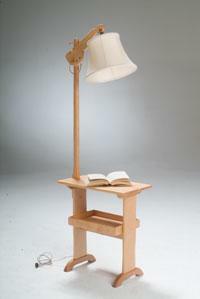 This idea lends itself to creativity with the choice of wood and joinery. 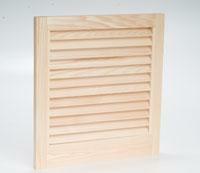 A simple rabbet joint and a double dado have been used to separate the lid from the box bottom. Of course, the trick is to size the boxes so they fit inside one another. A smaller box joined at the corners with a combination joint and a rabbeted lid can be used to store a deck of cards or other small objects. For router tips on building unique boxes watch Episode #1401 on the Router Workshop. Solid wood interior doors are hard to find. 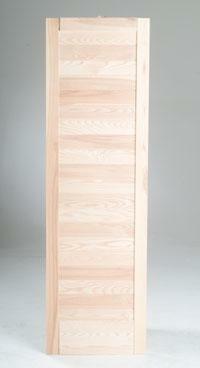 This solid ash door is made up of an outside frame of two-inch material with V groove horizontal boards inside the frame. A special tongue and groove bit is used with the router to mill the boards. Measurements and detailed procedures of the Ash Door are shown on episode # 1404 of the Router Workshop. This antique screen was used to hide the ashes and soot associated with a fireplace during the times when the fireplace was NOT lit. 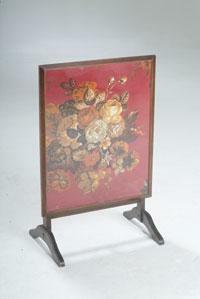 The table/screen surface was usually wood covered with a silk patterned material and glass. When the fireplace was used to produce heat, this screen could be made into a small table to play games or have tea in front of the warm fire. A revolving butterfly support is rotated below to support the table/screen surface on the screen legs. The legs and supports are pattern cut with the router. Watch episode #1405 on the Router Workshop for details of construction of the Fireplace Screen. The suitcase stand folds for storage. 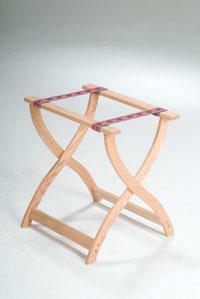 It is comprised of four patterned legs held together with rails and top slats. The legs fold together when not in use. The cross pieces are heavy fabric straps that allow the legs to spread apart to make a light but sturdy stand on which to set a suitcase or other object. This stand is an excellent addition to the guest bedroom. Watch episode #1408 of the TV program the Router Workshop for details on the suitcase stand. 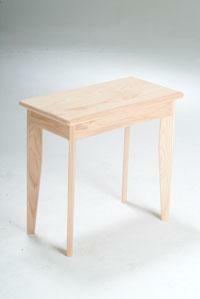 Angle legs are dovetailed into the rails to support this small table. Bob and Rick used white ash in episode #1412 of the Router Workshop TV program to produce this dainty side or occasional table that fits anywhere. 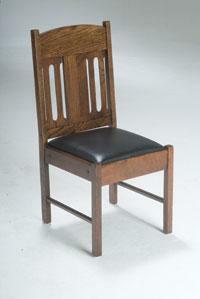 Clean lines and beautiful wood add to its attractiveness. Fasten the top to the leg system with divots in the rails that hold the screwing hardware. 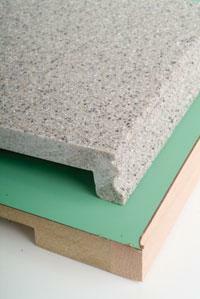 The router is the tool of choice for trimming, fitting and cutting laminates, counter topping and veneers. Bob and Rick show simple procedures with the router to make that counter top a professional fit. Manufactured marble cuts well with the router. A counter with a 45-degree splice can be professionally cut with the router. Edge trimming or inlaid wood in the counter edging is best done with the router. Watch episode #1413 for counter top tips and router procedures on the Router Workshop.